You may think that Easter treats are just for children, but adults can get in on the festive fun too! There are numerous grown-up gifts out there, our favourites being the antique kind. These days, there’s far more to Easter gifting than just chocolate, although we’d never say no! 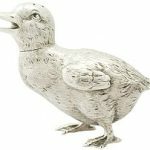 Whether you’re looking to treat yourself or a loved on this Easter, read on for our top 5 Easter gifts for antique lovers. Age old eggs might not initially sound appealing, but bear with us on this one! Chocolate may not be to everyone’s taste, however the class and elegance of silverware is timeless. 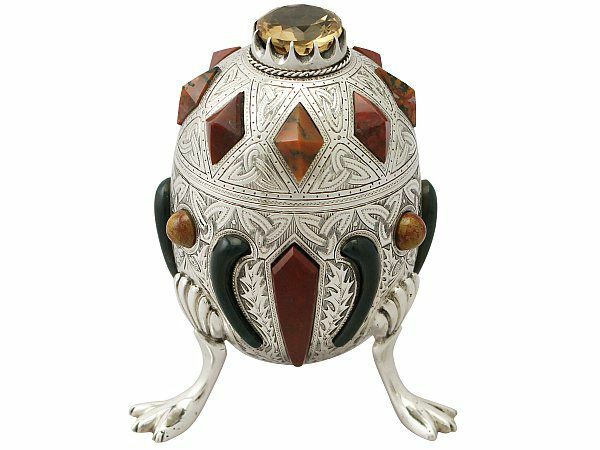 This magnificent antique Edwardian inkwell would make a wonderful gift for an antique lover this Easter. Whilst it is not modelled directly with this season in mind, its shape is certainly reminiscent of an Easter egg. It is embellished with impressive bright cut engraved trefoil knot and thistle leaf decoration, which gives it a spring-like feel. The citrine embellishment provides a pop of colour that makes it perfectly suited to such a joyous occasion. Plus, as a silver egg it will certainly last a lot longer than a chocolate one! Hoppy holidays! The Easter bunny is an iconic symbol of the season, and no Easter is complete without a visit from him. Originally, this folkloric figure was presented as a judge of children’s obedience during this period. If they were deemed ‘nice’, then they were eligible to receive some of the treats from his basket. Perhaps this year if you have been especially good, you will receive some diamonds instead. 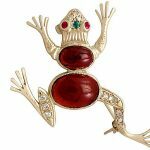 This antique diamond and ruby brooch is both quirky and classy. It would steal the show at any Easter themed activities- and as an antique Victorian piece we imagine it has done so for many years. 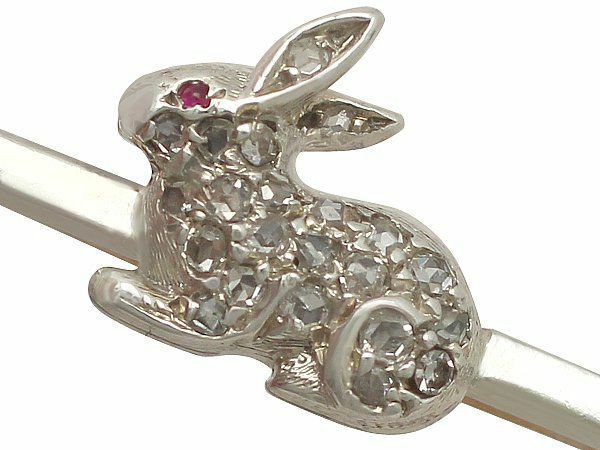 Additionally, the allure of this piece will last well beyond Easter. After all, this is a season but diamonds are forever. An ideal gift for an antique lover this Easter is a grown-up twist on a beloved tradition- the Easter basket. Easter baskets have entertained countless children over the years, as they make perfect seasonal craft projects. However, if you have slightly advanced from glitter-glue and pom-poms, then let us offer the perfect adult alternative. 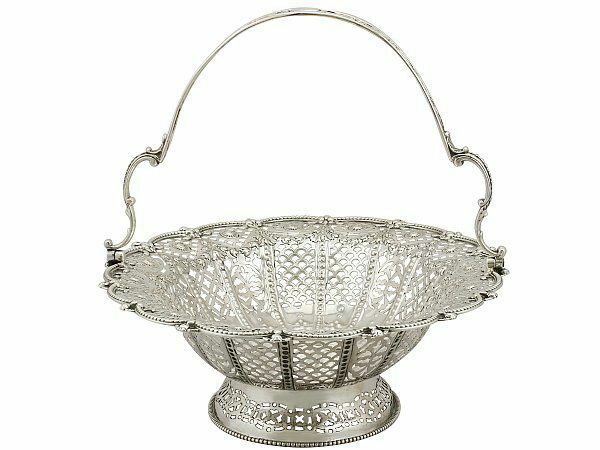 This antique Victorian sterling silver basket has all the charm of those you likely made years ago, with an added aura of sophistication. It would make a wonderful centrepiece at the Easter table, perhaps displaying some eggs or other goodies. The detailing on this piece is simply exceptional. This means that you can achieve maximum Easter effect with minimum effort, a win in our book! 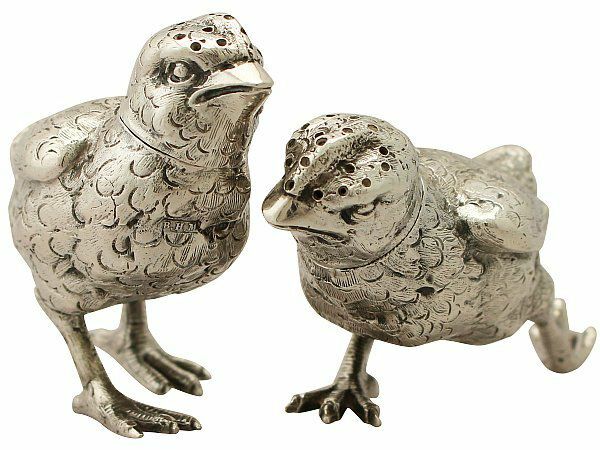 Now, these sterling silver pepperettes may be antique, but they’re still real spring chickens (silver and small!) 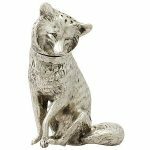 It’s no secret that we at AC Silver love our animal antiques. As such, we would be thrilled to receive these Easter chicks as a holiday gift. 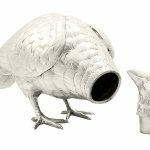 Each piece is embellished with chased decoration reproducing the details of the birds’ plumage and anatomical features. They’re realistic, but of course much more welcome at the Easter table than real birds. Their novel form will delight adults and children alike, and provide the perfect conversation starter. All in all, the perfect gift for any antique lover this Easter. Ah, the humble egg cup! This is undoubtedly a family favourite all year round. 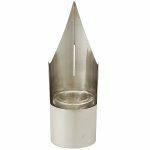 However, it has here been given a sophisticated twist that makes it the perfect gift for an antiques fan. 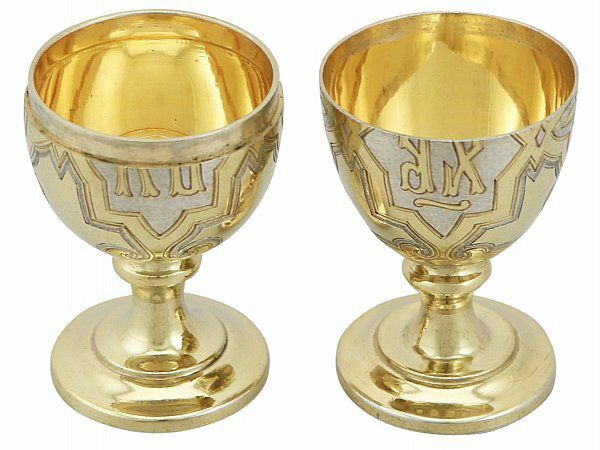 If you’re looking for luxury this Easter, then look no further than these exceptional Russian silver gilt egg cups. Their exceptional engraved strapwork panelled decoration makes them perfectly suited to an indulgent Easter Sunday morning. We would be ecstatic to receive these, particularly as their enduring splendour is sure to delight from Easter and beyond. There’s only one question; how do you like your eggs in the morning? So there you have it, our top 5 Easter gifts for antiques lovers. Whether you intend to indulge yourself or a loved one, we hope you are inspired by our stunning selection of Easter treats. Let us know below which you would like the Easter bunny to drop off for you- alongside copious amounts of chocolate of course.